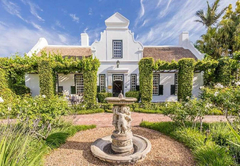 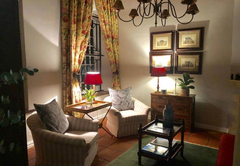 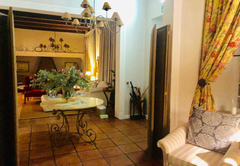 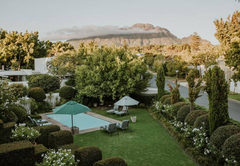 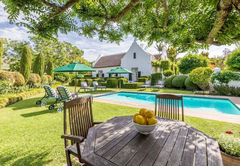 Van Der Stel Manor is a Stellenbosch Bed & Breakfast providing accommodation in 11 guest rooms for tourists visiting the Cape Winelands region. 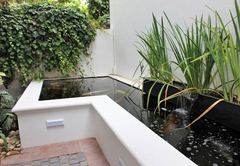 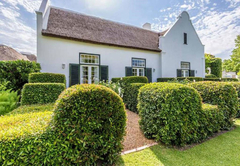 Van der Stel Manor is a lovingly restored Cape Dutch home that dates back to 1910. 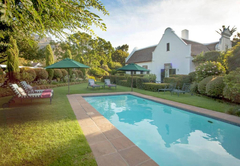 Bed and breakfast accommodation in offered in 10 luxury double suites and one garden cottage. 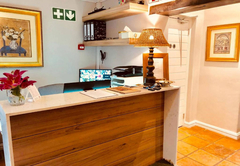 Mobile spa services are available. 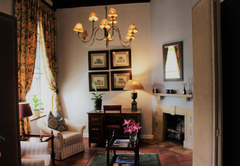 The air-conditioned rooms are stylishly decorated. 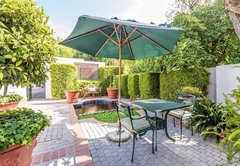 They have a private patio and access to the rose garden and swimming pool. 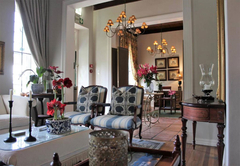 All rooms include a TV, Wi-Fi, a mini bar, safe, hairdryer, bathrobes, port wine, fruits and fresh flowers. 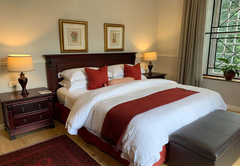 The en-suite room is furnished with a King-size bed. 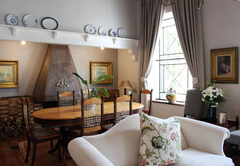 The spacious cottage is furnished with a King-size bed and has a lounge area. 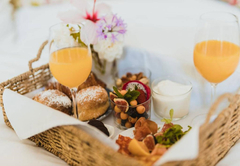 A delicious breakfast is served daily. 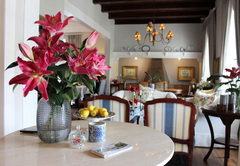 Light meals, wines, tea and desserts are also available. 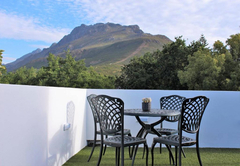 Stellenbosch is a bustling town with golf courses, excellent restaurants and wineries. 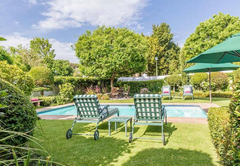 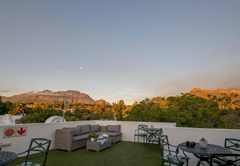 The town is close to beaches, mountains and rivers and is within easy driving distance to Cape Town. 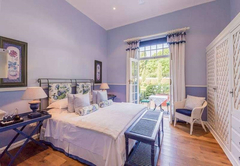 Air-conditioned luxury en-suite room, stylishly decorated, each with private patio. 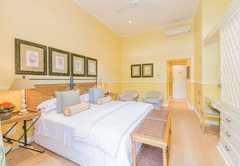 King size bed, full bathroom, TV, Hairdryer, all modern necessities included. 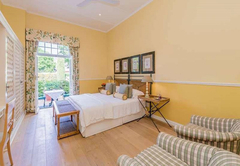 Spacious Garden cottage with king size bed, en-suite bathroom, extra lounge area, private patio opening out onto the manicured garden. 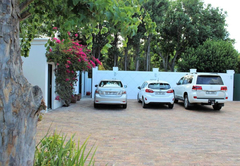 Response timeVan Der Stel Manor typically responds to requests in 5-10 minutes.